From salads to potatoes, fancy to fun, we have some of the best side dishes to go with your steak dinner. So fire up the grill and get ready for supper! Summer is coming in hot! As the weather warms up and we head into holidays such as Memorial Day and Father's Day, it seems like the grills are lighting up everywhere. It just so happens we love to grill and if we are going to do something special it is going to be a nice big steak. In fact a nice big steak is a definite way to my husband's heart. That part is easy, a hot grill and some simple seasonings and you are good to go. But deciding what to make with the steak is a little bit harder. You want it to be something that shines a bit on its own to knock the whole meal out of the park. 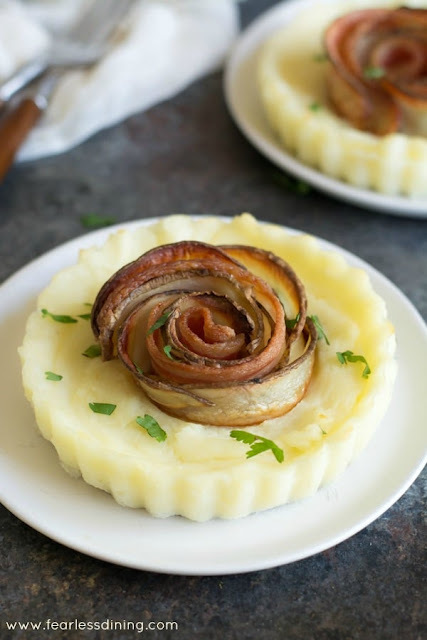 If you are looking to really wow them, I mean knock their socks of wow... then these potato pies with bacon roses from Fearless Dining have to be the thing! Asparagus is in season right now and it is always a welcomed side dish at our table. 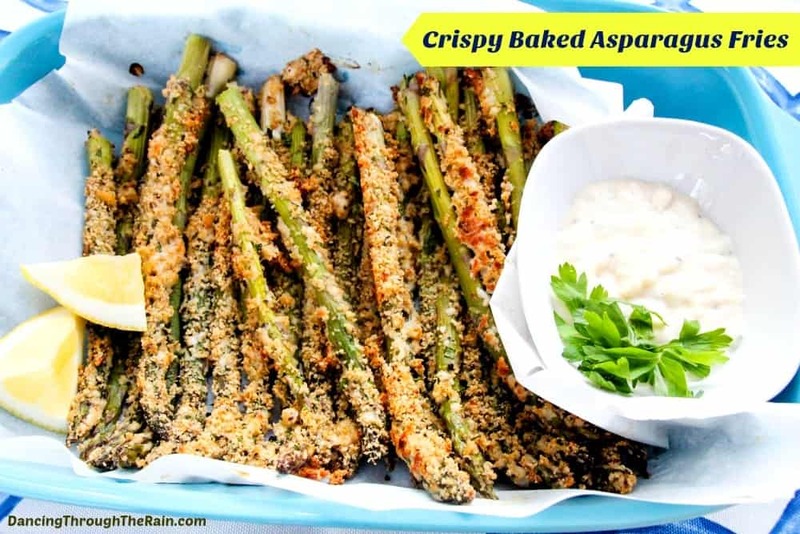 These crispy baked asparagus fries from Dancing Through the Rain look like the perfect mix of delicious, fun and fancy! I want to grab one right off the screen. Maybe you are in the mood for some pasta salad but you want to do it up a little to compliment your steak. 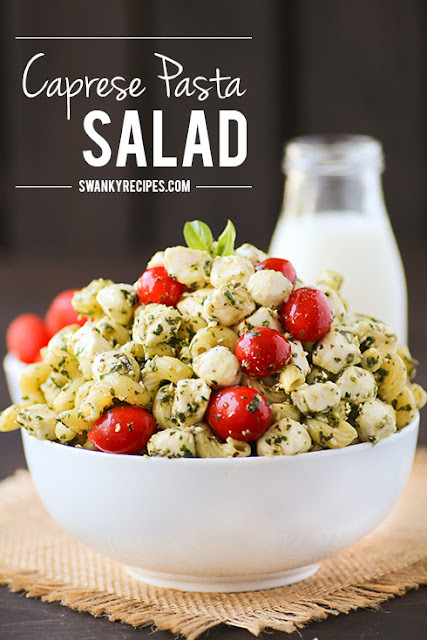 This caprese pasta salad from Swanky Recipes looks like the perfect compliment. A nice of of delicious beef and creamed spinach are meant to go together. So this low carb creamed spinach casserole by Kudo's Kitchen is sure to be welcomed on my plate. The Naughty Nutritionists are sharing a tip for the best sweet potato fries and it looks like it is working! These look so flavorful and crispy. I'd be happy with a pile of these beauties by my steak! Garlicky roasted red potatoes are an absolutely perfect side dish for a steak. They are simple, but flavorful and oh so good. Everyday Eileen shared a great recipe that is sure to be a hit! 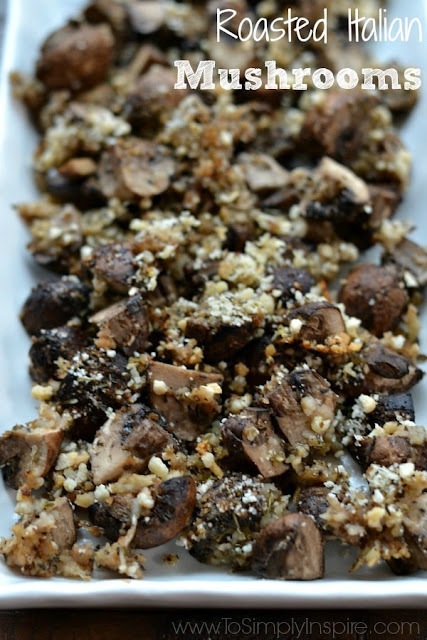 I feel like mushrooms are another classic accompaniment to beef and these Italian roasted mushrooms from To Simply Inspire look like heaven on a plate. In fact, just give me a fork and that plate and I'll be happy for the night! Maybe you are looking to spice it up a bit. 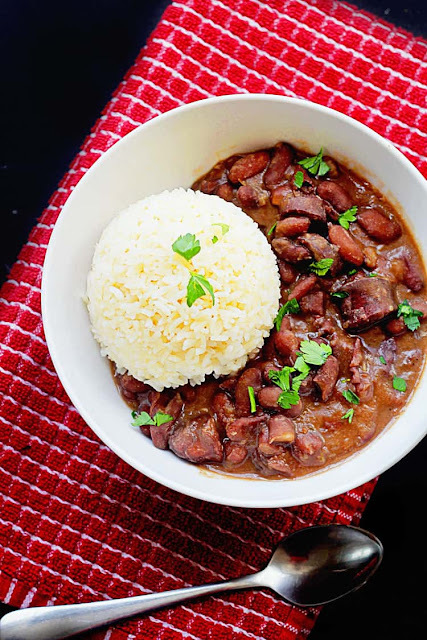 Then these cajun red beans and rice from Grandbaby Cakes could be just the thing. Just imagine how much flavor is perking in there! Brown butter has a way of drawing you in for a bit more. These brown butter peas with mint from The Suburban Soapbox have my taste buds dancing already. Maybe you are looking for something fresh and cool? 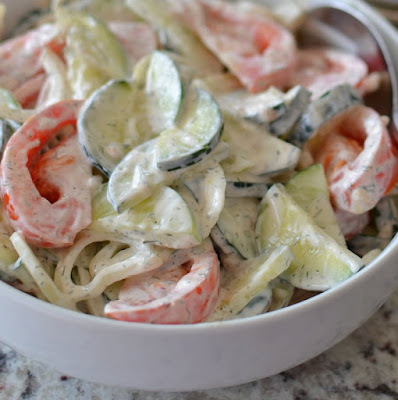 How about some creamy cucumber and tomato salad from Small Town Woman? I don't mind if I do! 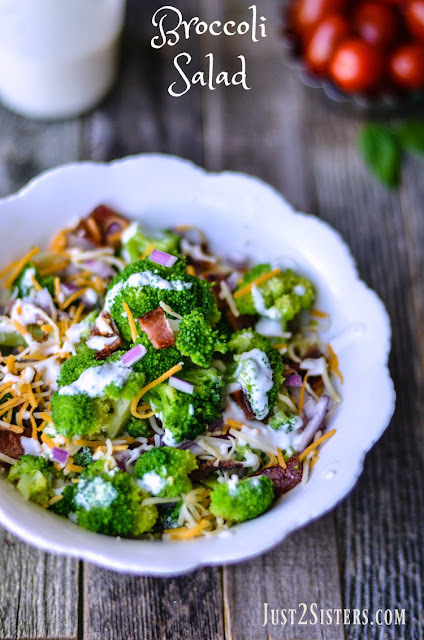 Another salad that always catches my attention is a good broccoli salad. This version from Midlife Healthy Living is lightened up and still looks so good. 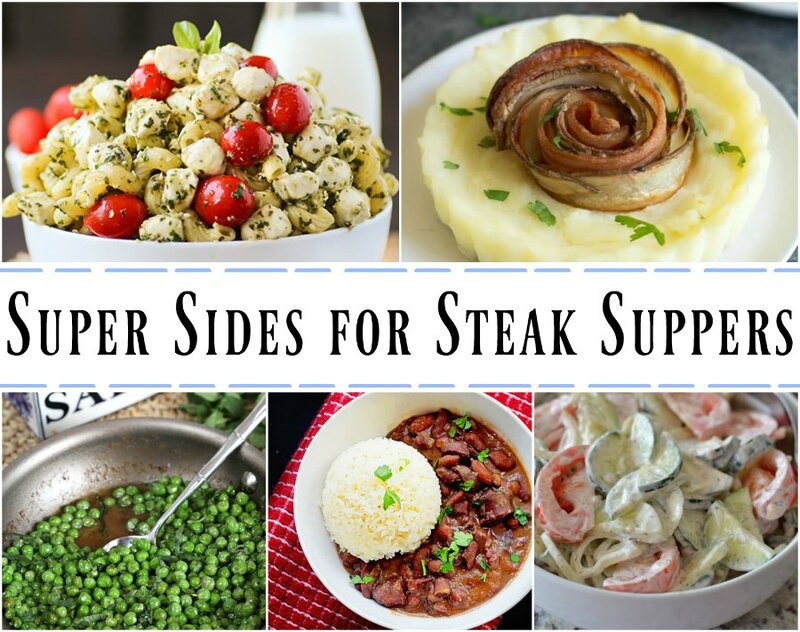 Now that I have given you all of these great idea, which ones are you going to serve with your next steak supper? Great article! Love steak and all the sides that go with it. We do too! Thank you! So many good options! 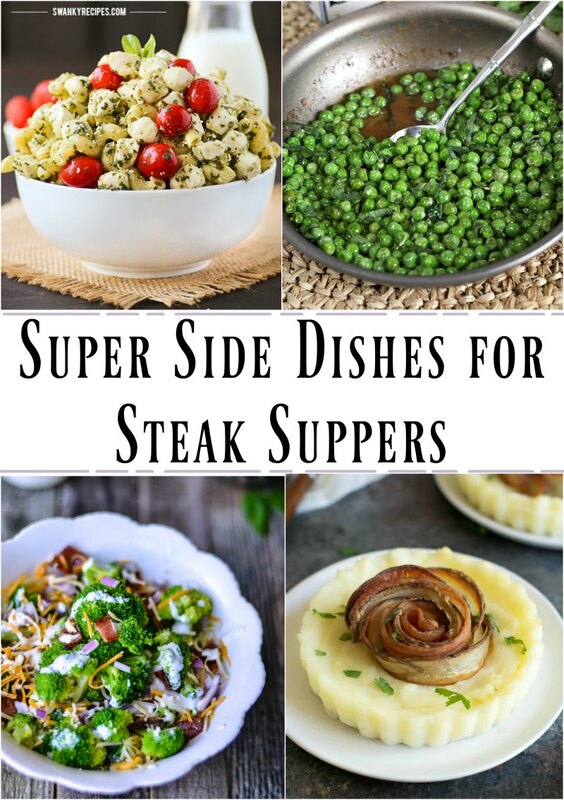 I have been so hungry for a good steak but it is so important to have yummy sides to go with..these look delish! Coming up with sides is usually on of the hardest parts of meal planning for me, so I'm always happy to have inspiration! Thanks, Andrea! Ha! Fried potatoes are a good option too! I guess you need to make some for the blog! Some great choices to get ready for my steak. I love every one of these. Thanks for putting this together. Don't they all look delicious? Thanks Sam! Great side dish choices, now to choose which to make first, so good! Pinning and sharing. Thank you for including my roasted potatoes. Thank you so much for including my spinach casserole!! Completely intrigued by those peas! I will be trying them! I am too! 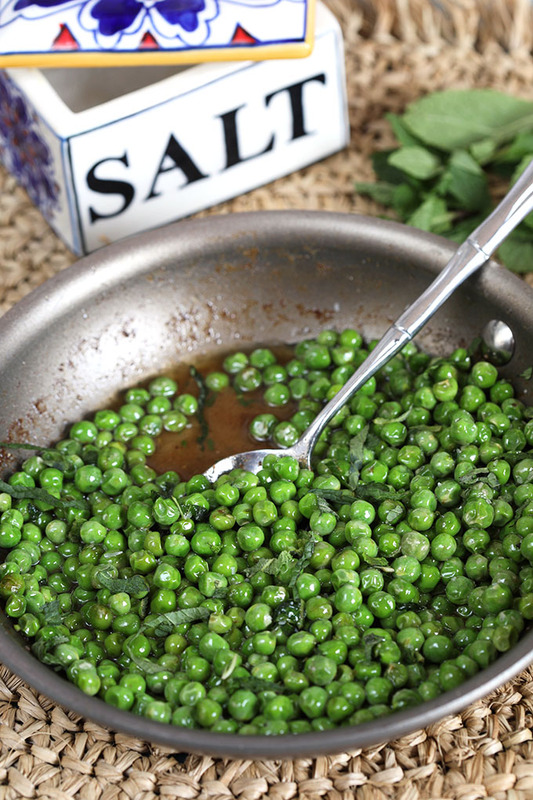 I am so boring when it comes to pea recipes, I can't wait to try them! Carlee, I'm loving your new look!! All these sides look stellar!! Now I wish I were doing a cookout myself tomorrow!! SO many wonderful side dishes to choose from. I don't even know how I would pick. Thanks so much for sharing at the Whimsical Wednesdays Link Party! It is hard to choose, isn't it?